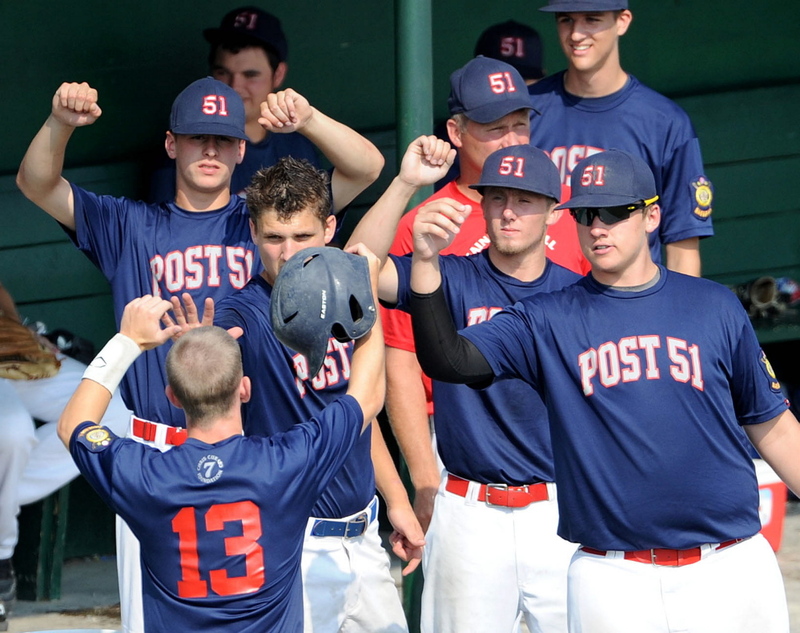 The 6-2 victory over the Lewiston-based team means Post 51 will again face opening-round tormentor Bessey Motors. BANGOR — Pat Breton giving up one run over eight innings wasn’t part of Post 51’s game plan on Friday against Pastime Club of Lewiston. It might not have even been part of a best-case scenario. 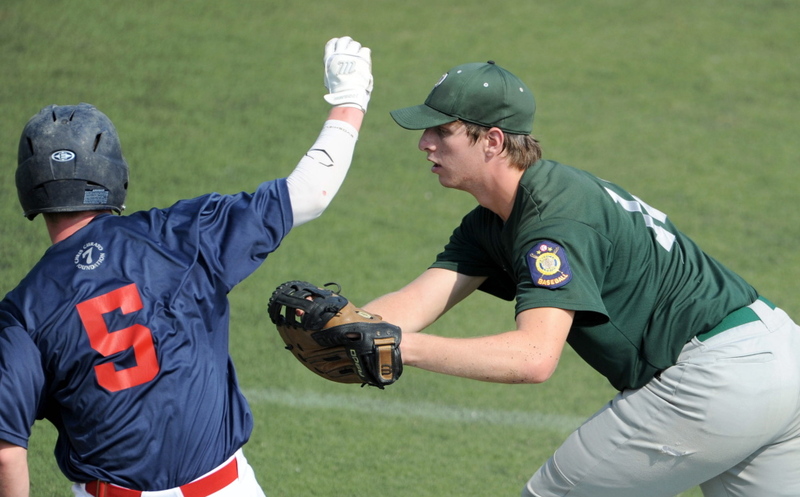 “We were saying as coaches, we get four or five innings — tickled to death with it,” Post 51 co-coach Ray Bernier said. But Breton so thoroughly flummoxed the Pastime batters that they did not hit a ball hard all game. 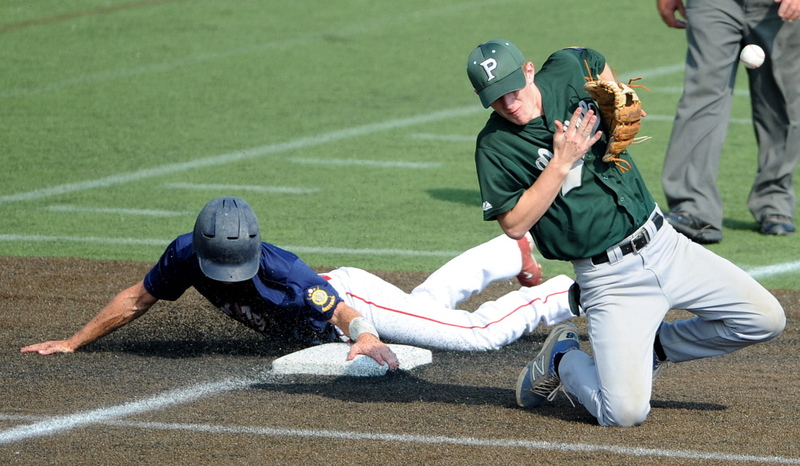 His eight strong innings were more than enough for Post 51 to stay alive in the American Legion Baseball state tournament with a 6-2 victory at the Winkin Complex at Husson University. 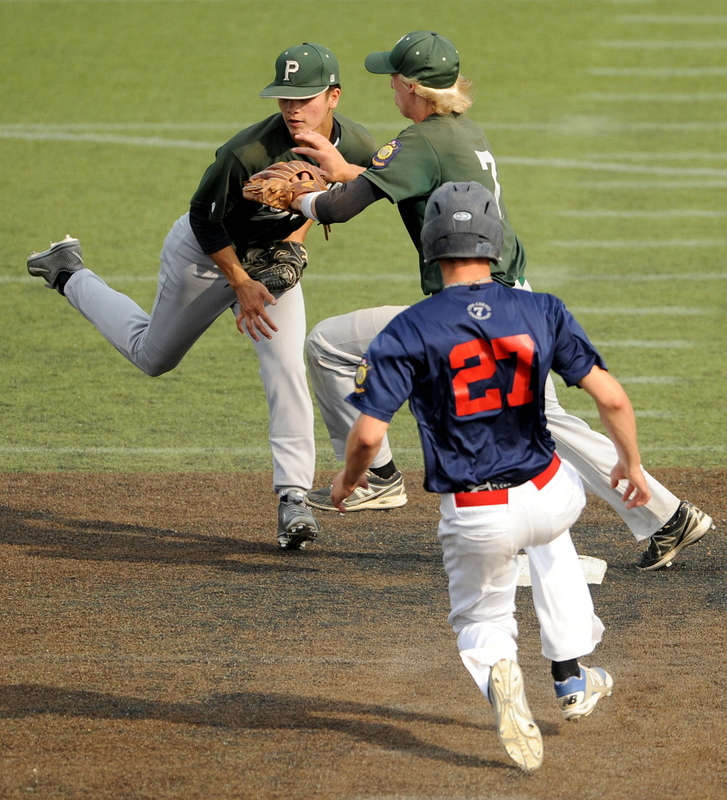 Post 51 plays Bessey Motors of South Paris on Saturday at noon. 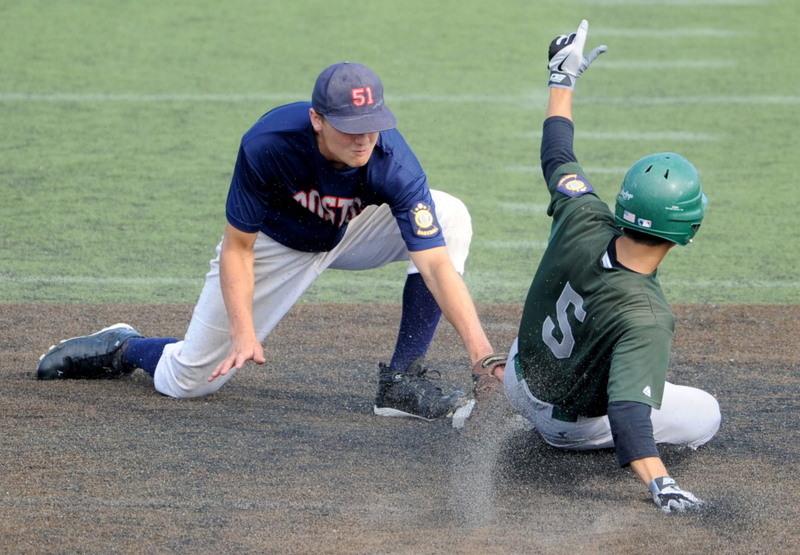 Bessey defeated Post 51, 7-2, on the opening day of the tournament. Post 51 is eliminated with a loss. Post 51 is eliminated with a loss. Oak Hill High School’s Ryan Riordan pitched a complete game for Pastime, and gave up eight hits while striking out six. 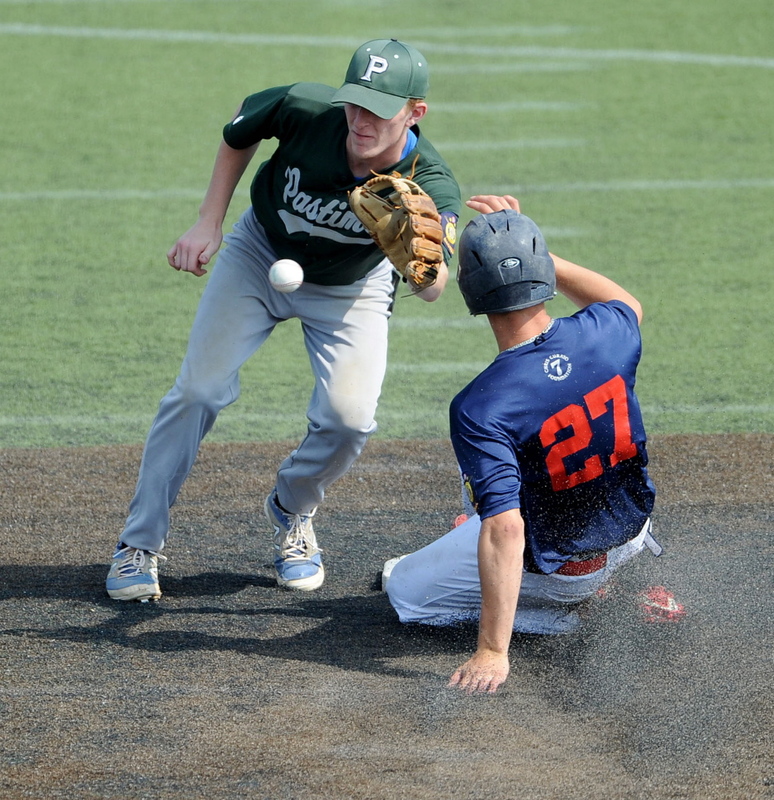 Riordan needed a few innings to find the plate consistently, but in that time Post 51 took advantage of his wildness as well as shaky Pastime defense. The first gifts came in the bottom of the first inning. With two outs and the bases empty, an error allowed Devin Warren to reach base and extend the inning. 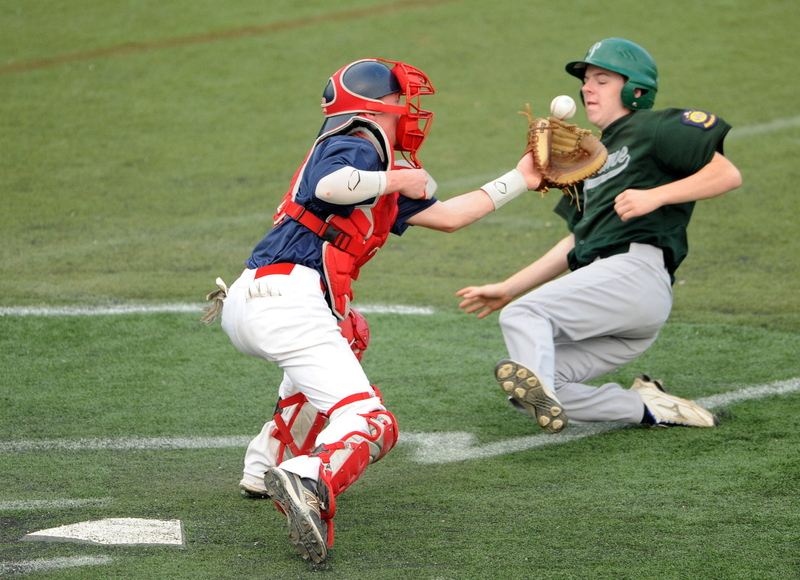 Warren stole second and Zach Mathieu walked before Jake Dexter brought both runners home with a pop-fly double that fell in when the outfielder got a late break on the ball. Down 2-0, Pastime started the top of the second with singles by Carter Chabot and Alex Small. Caleb Dostie followed with a great bunt for a single to load the bases with nobody out. Up next was Matt Poulin, who delivered a fly ball to right field. Chabot came home, and both runners alertly moved up on the throw to the plate. But Chabot’s run was taken off the board when the umpires ruled he left third too soon and called him out after an appeal. Instead of the score being 2-1 with runners on second and third and one out, it was 2-0 with two outs. Breton struck out the next batter to end the inning, and Pastime was never that close to being in the game again. 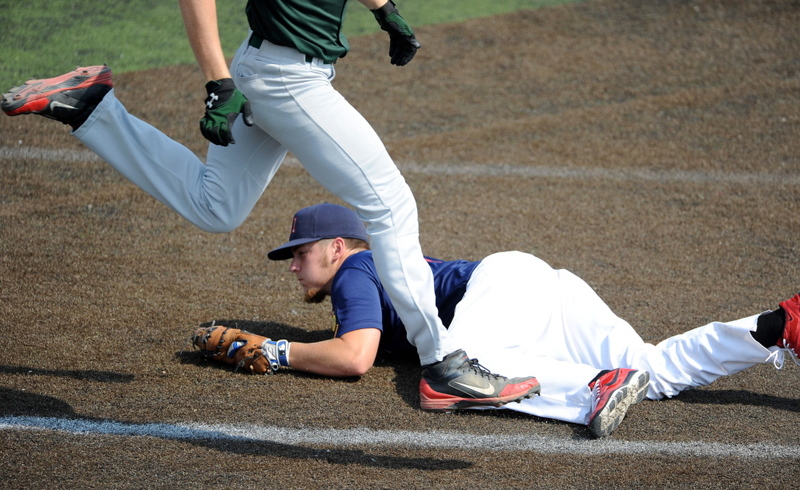 Cody Martin singled home Josh Woodard in the second to make the score 3-0, and in the third, Woodard’s sacrifice fly brought home Dexter, and Ben Frazee made it 5-0 when he took third on a wild pitch and the throw got away. Of those five runs in the first three innings, only two were earned. Riordan was solid the rest of the way, retiring nine in a row at one point and allowing only three hits over his final five innings. During that time, Chabot made several nice scoops at first base to save errors. Breton was just as strong. From the third through the sixth, he faced one batter over the minimum. For the game, he allowed eight hits and no walks in eight innings, and threw only 92 pitches. 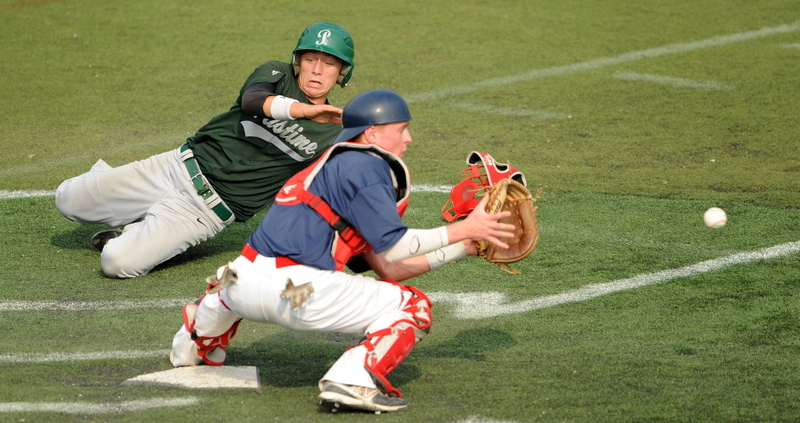 Pastime made its last charge in the seventh, producing four straight singles with one out. Austin Wing drove home Alex Small with the fourth hit, but on that play, Caleb Dostie was nipped at the plate on a great relay from right fielder Reid Nutter to first baseman Adam Littlefield to catcher Trevor Gettig. Post 51’s final run came in the seventh when Littlefield slapped a single to right to score Warren. A.J. Godin pitched the ninth for Post 51, and allowed one run on one hit.